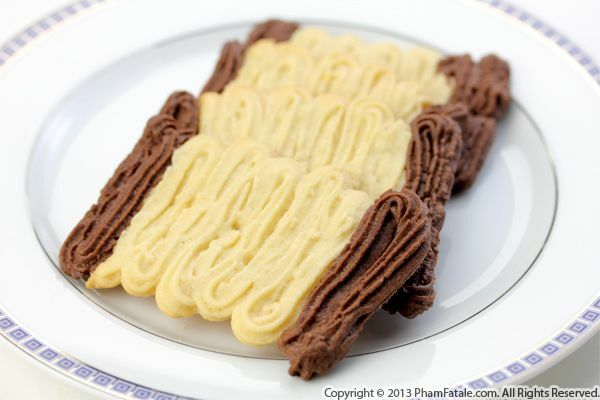 Are you still looking for the perfect dessert to serve this holiday season? 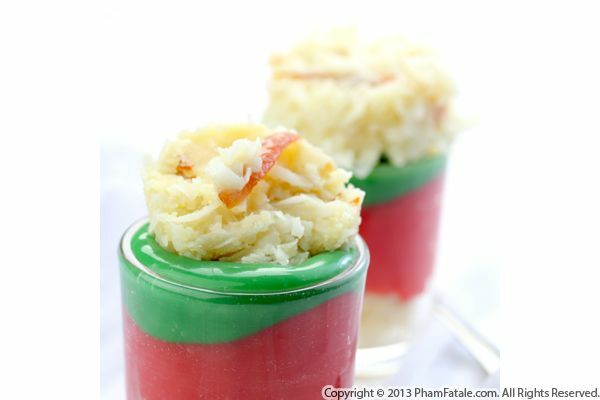 This dessert contains all the three elements I would usually enjoy as a child during the Christmas season in France: citrus, coconut and chocolate. And how did I accomplish such a feat? By creating a kumquat macaroon parfait, of course! To make the dessert Christmas-themed, I made two colored chocolate puddings. One was prepared with white chocolate powder and green-colored chocolate chips and the other with strawberry powdered drink mix and red chocolate chips. The base and top of the dessert were made with macaroons. The girls and I have been baking up a storm this holiday season. 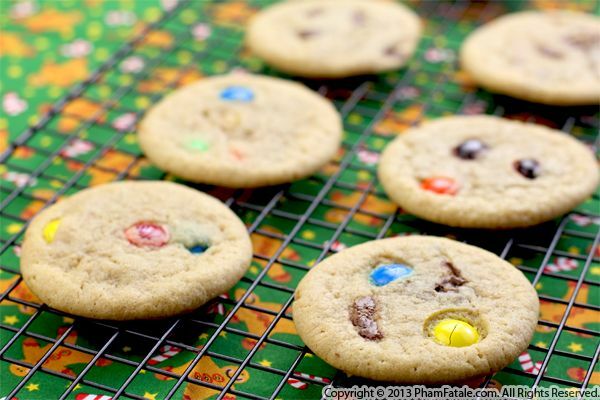 Here's the recipe for their favorite cookie from this week’s concoctions. We made them without flour, butter or white sugar. 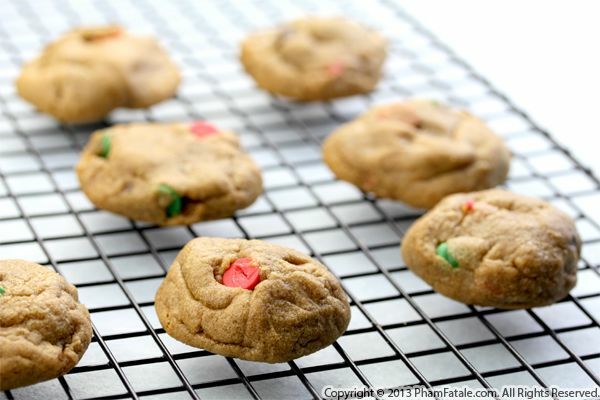 The only requirement is the use of a generous amount of peanut butter, brown sugar and a few Christmasy-colored chocolate chips. The result was super gooey, soft and pillowy cookies. The girls suggested we bake as many varieties of cookies as possible until Christmas Day. I can already tell what my New Year’s resolution is going to be! This month, we're going to bake a lot in anticipation of Thanksgiving. So start pinning the dessert recipes you like, roll up your sleeves and get baking! 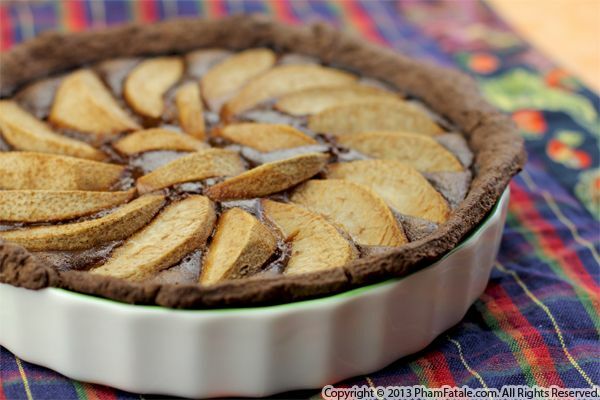 The first tart recipe of a long series is flavored with one of my favorite flavor combinations: chocolate, pear and almond. I prepared a chocolate crust and made a creamy chocolate almond filling. The fruit topping was freshly picked from Lulu's uncle's tree. After a trip to the oven, out came our first Thanksgiving-worthy dessert! Page 11 of 16 pages.